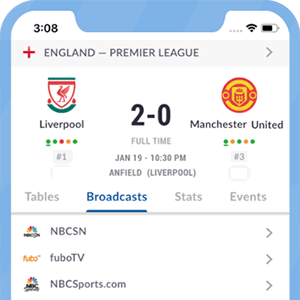 Sky Go offers live sports programming for online and mobile TV to SKY TV subscribers for no additional fee. The service is available on iPad, iPhone, Android smartphones, Xbox 360 as well as Mac and PC. With SKY GO you can register two devices and allows users to view live channels as well as selected on-demand content. Sky Go is available to non-Sky TV customers, with monthly subscriptions. *Got itLive Soccer TV does not provide Sky Go UK live streaming. The information provided on this page is simply Sky Go UK soccer TV schedule.